World Water Day is an international observance day on March 22. The intention is to inspire people around the world to learn more about water-related issues and to take action to make a difference. The theme for World Water Day 2019 is "Leaving no one behind", which is the central promise for Sustainable Development: as sustainable development progresses, everyone must benefit. Water is closely related to people's life, which also in line with sustainable development. As it is one of the most important resource in the world, society put more and more emphasis on better water usage and water treatment. As technology changed rapidly in the past few years, water plants started implement smart solutions for their operation, to ensure water quality, lifecycle management of equipment and infrastructures and to finally improve production efficiency and save costs. China might be said to be taking the lead in Smart Water, first as the country with the most water needs, the most water facilities, its suppliers, EPC companies and operators also active in export projects worldwide. Most recently also as a recognized innovation and IT leader. Siveco China is one of the pioneers in the Smart Water industry, having worked alongside Chinese companies in this sector for close to 15 years. Our clients include international joint-ventures (such as Sino French Water), domestic national companies (for example Capital Water) and municipal water companies (such as Zhongshan Water, Hongcheng Water) in China and with overseas projects on the Belt & Road. Siveco has also worked extensively in the closely related segments of waste treatment and as urban energy. We believe that our Smart O&M solution will continue to strive to contribute to sustainable development and the society, which follows the call for World Water Day. During 2019 we will continue to actively promote Smart Water, from the Smart O&M angle, showcasing the results obtained by our clients, at conferences: upcoming events include the China Europe Water Platform (CEWP) on April 12-13 in Qingdao, the Smart Water Summit Forum on May 9-11 in Yiwu and AQUATECH on June 4 in Shanghai. 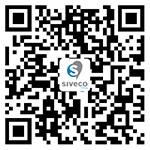 For more information about Siveco China and our Smart solution, please contact our team at info@sivecochina.com.